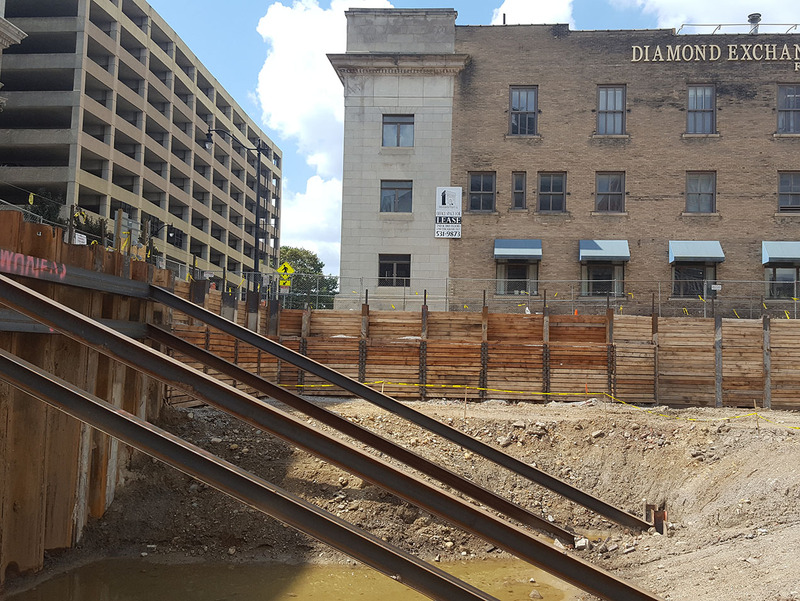 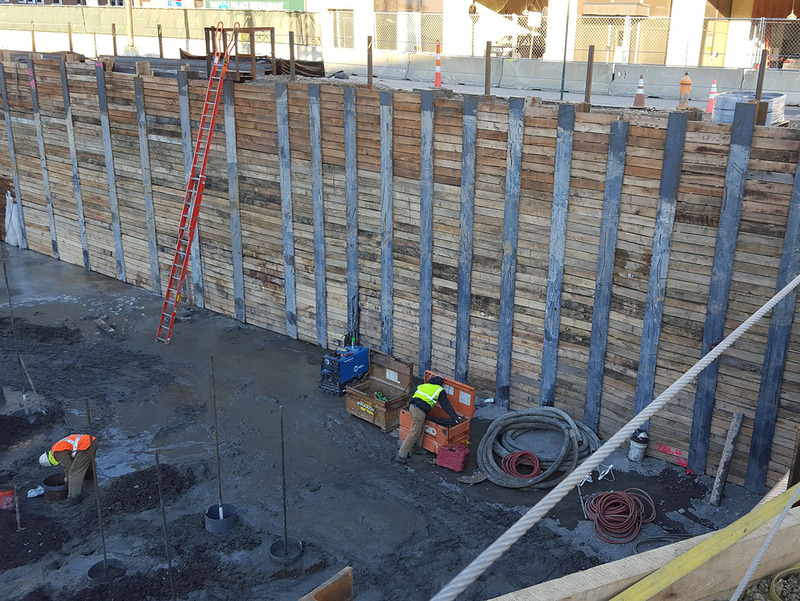 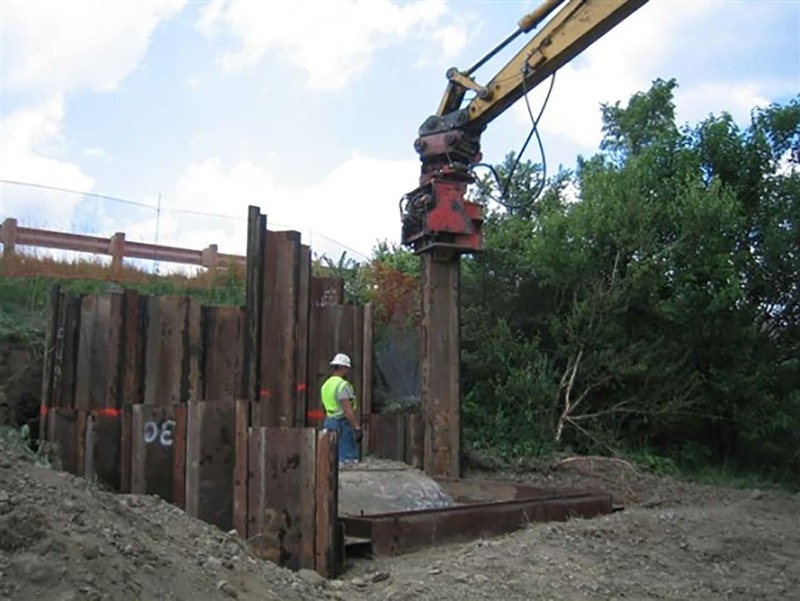 Our professional staff can review your piling and shoring requirements and build an economical system to meet your project needs. 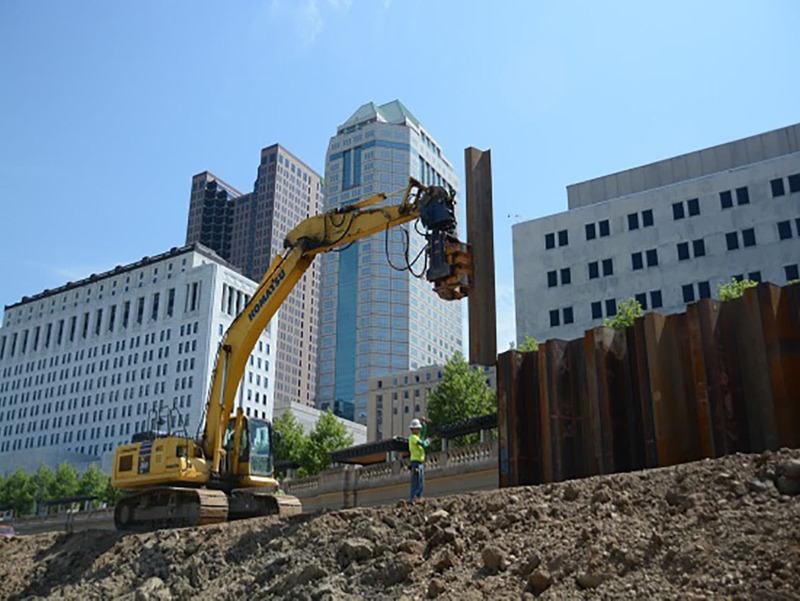 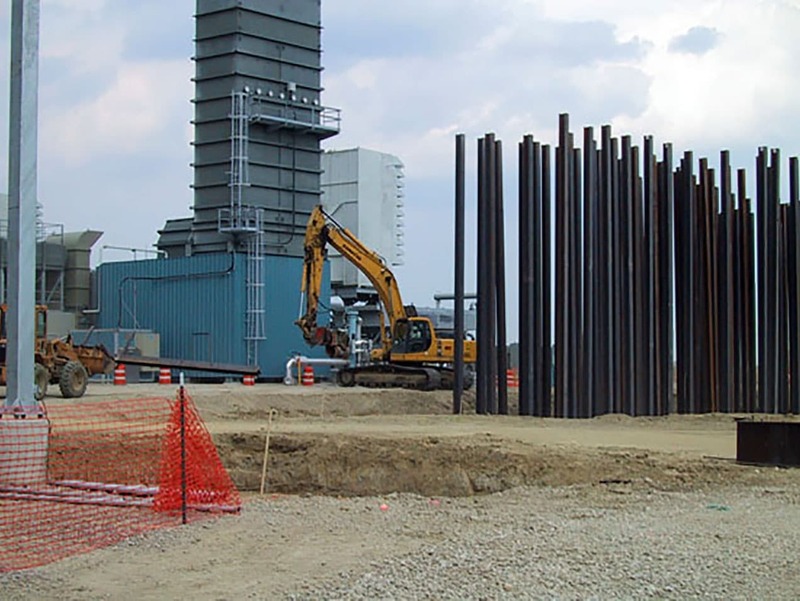 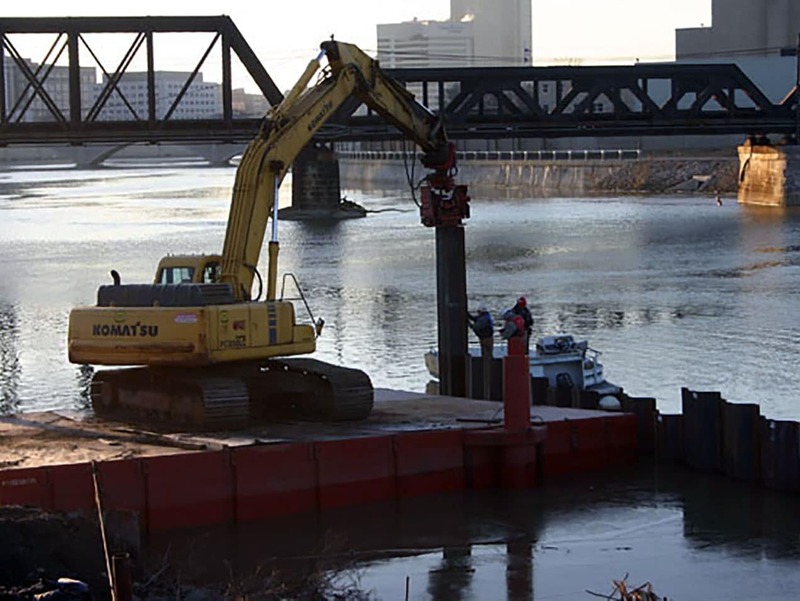 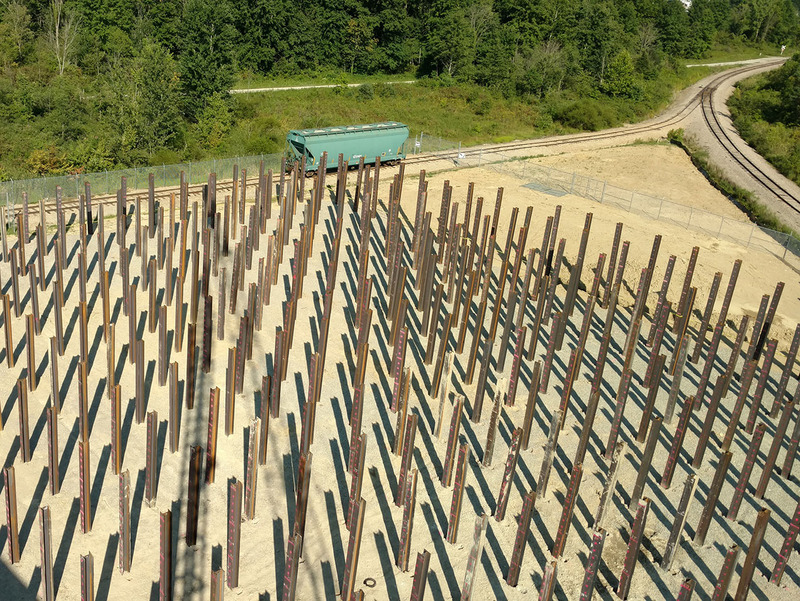 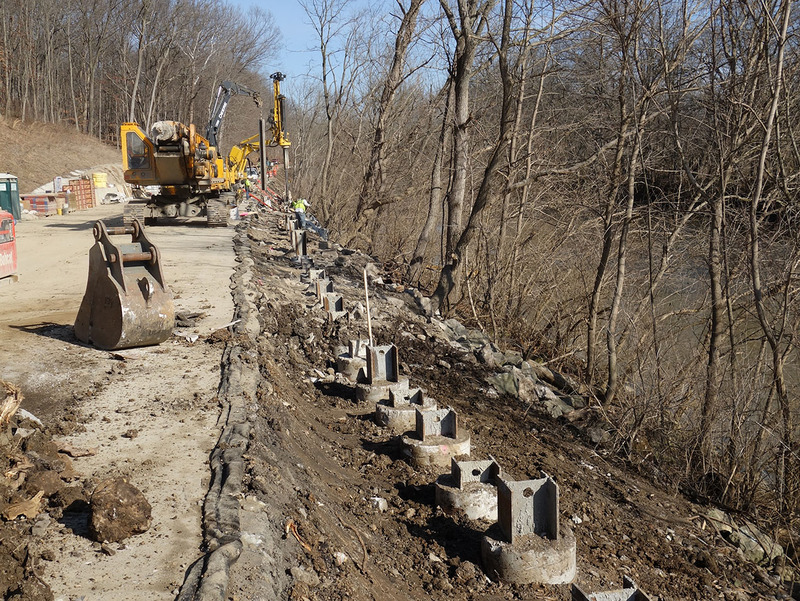 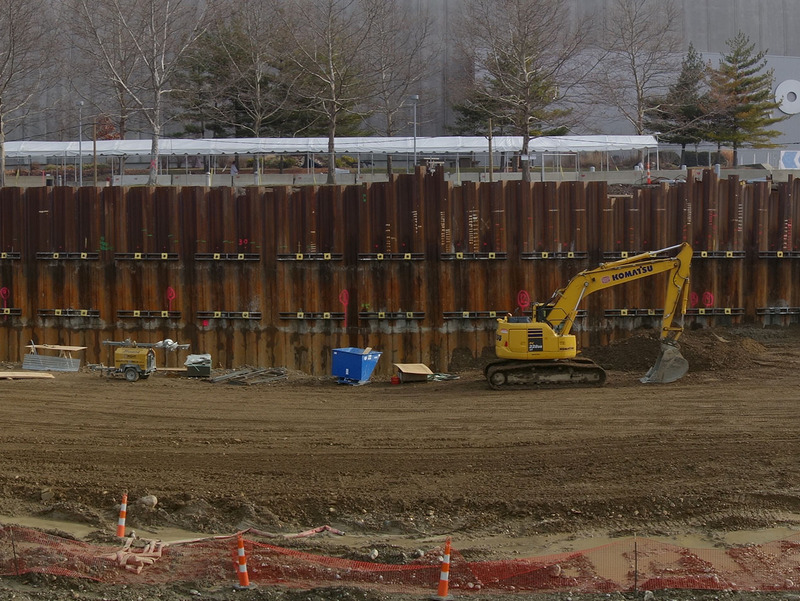 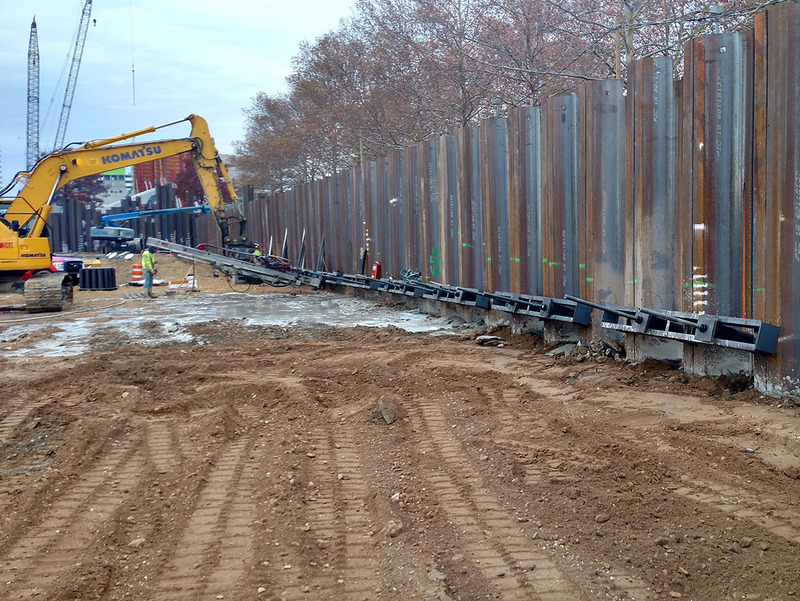 We self-perform steel sheet piling, H-piling and lagging, tiebacks, and other earth retention systems. 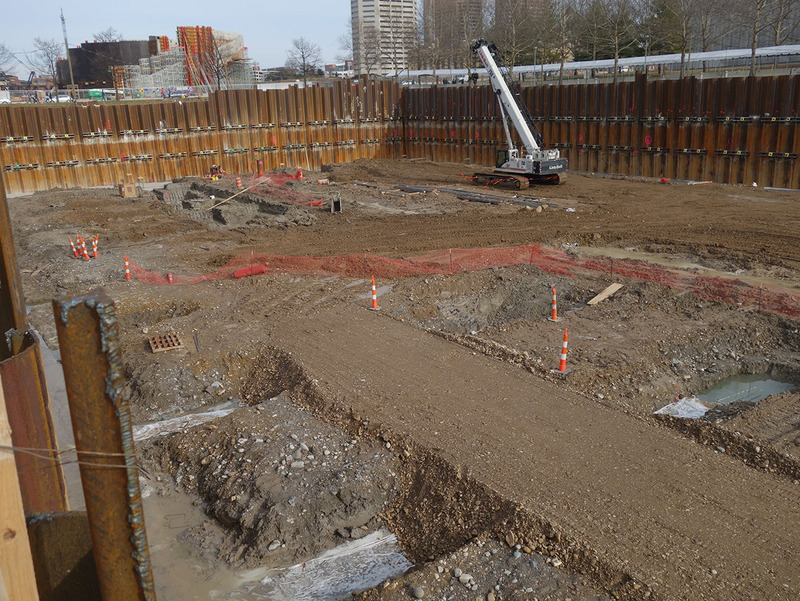 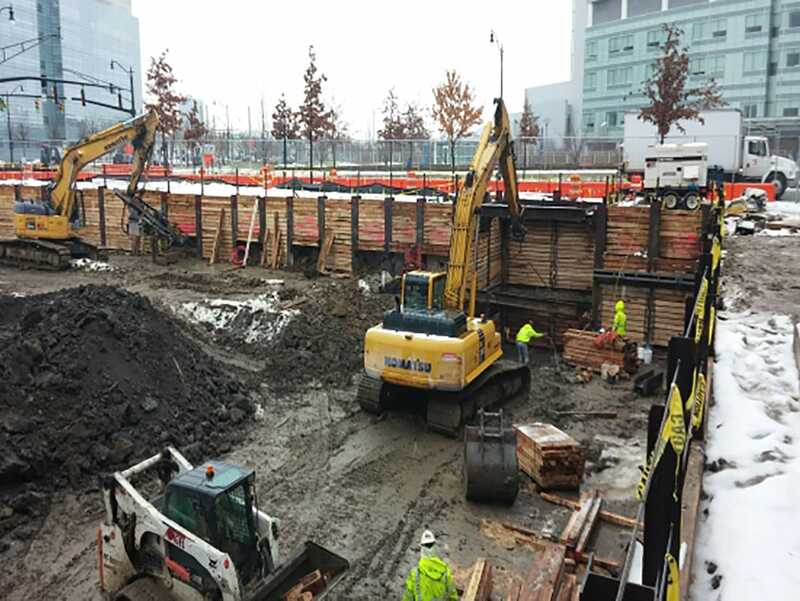 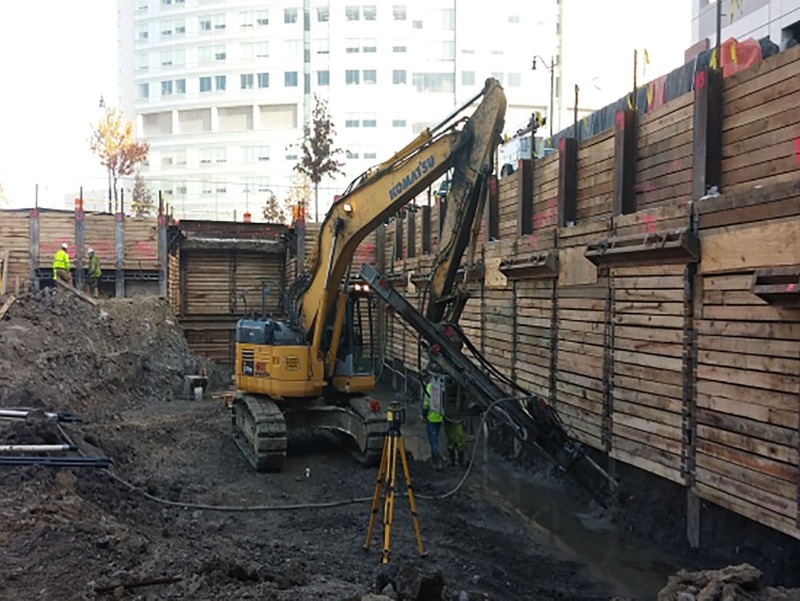 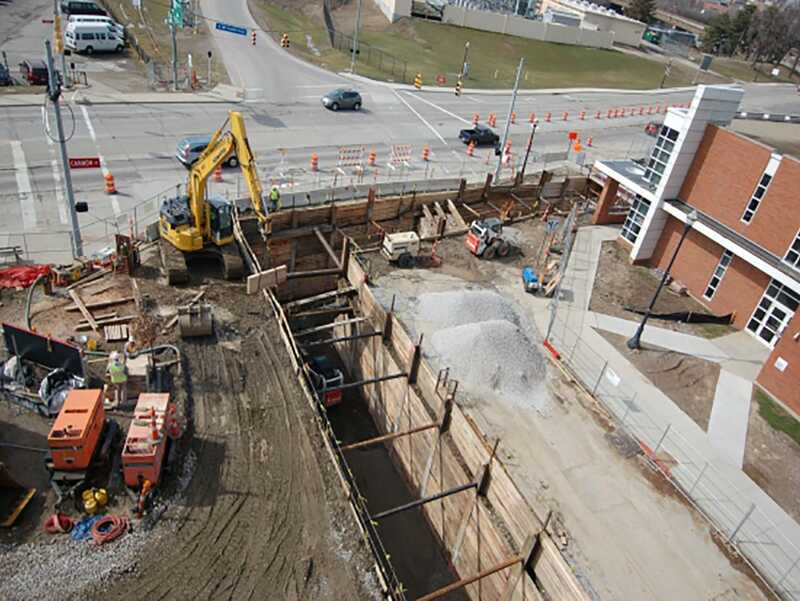 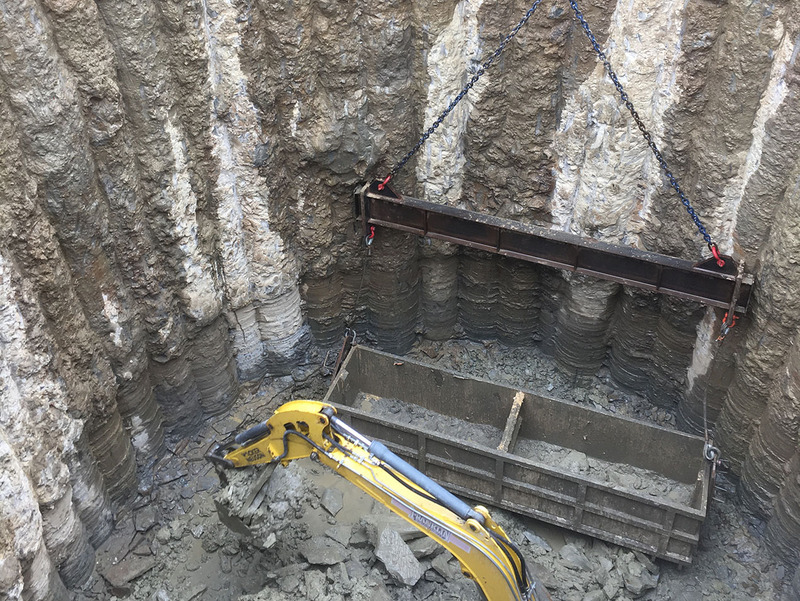 When combined with our mass excavation services, we can provide turnkey urban basement excavations. 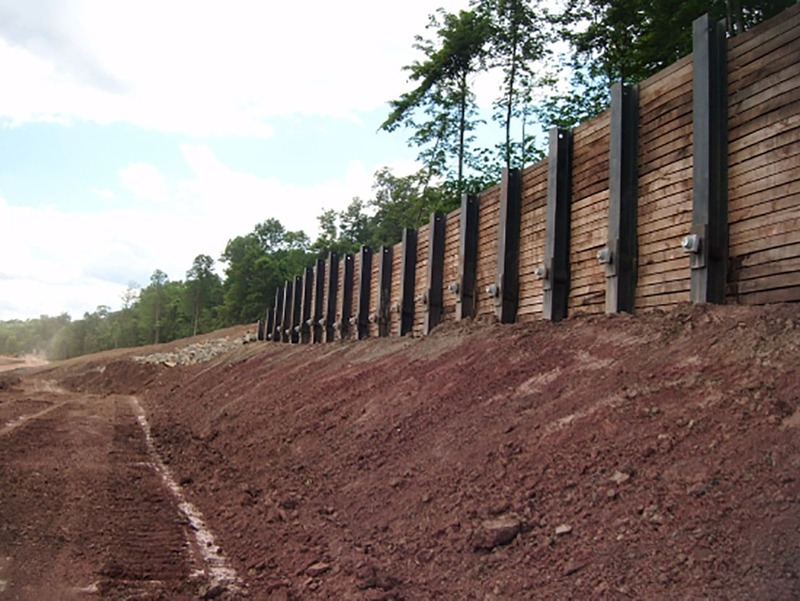 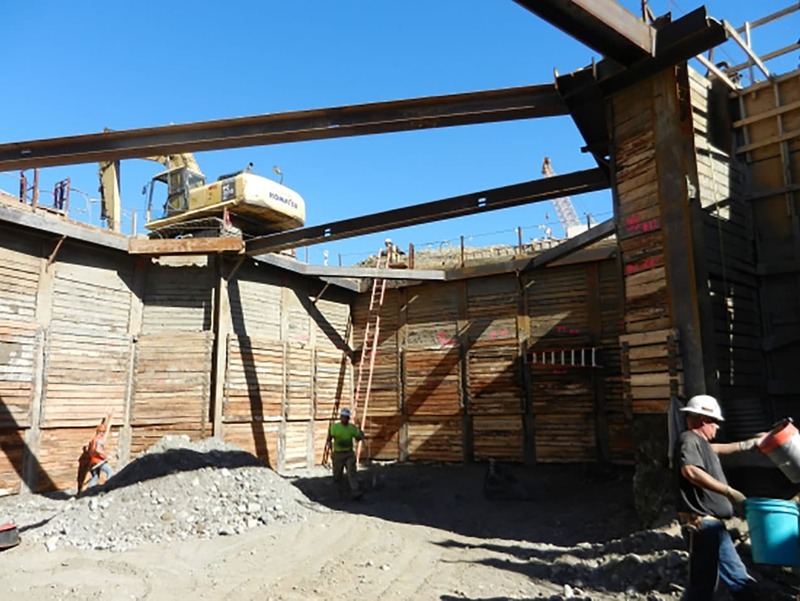 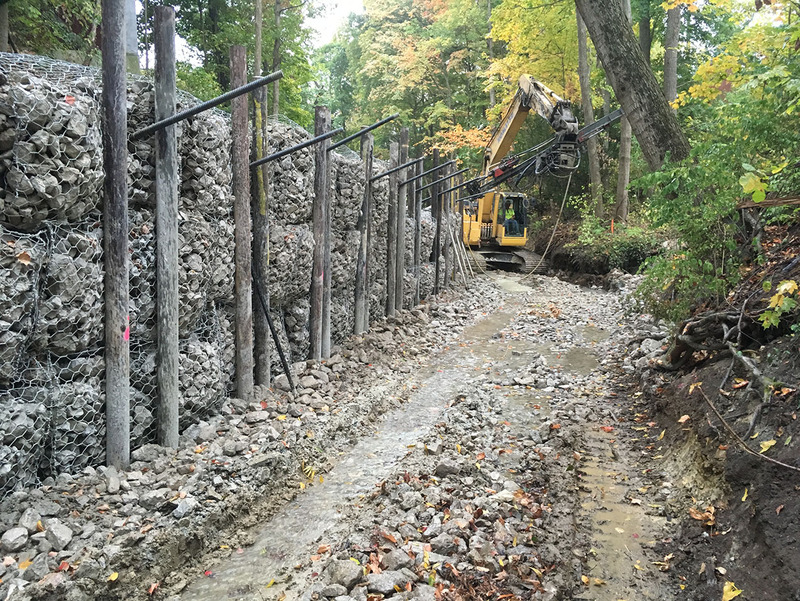 One-sided wall forms can be designed to be attached to our sheeted walls for value in forming, pouring and backfill. 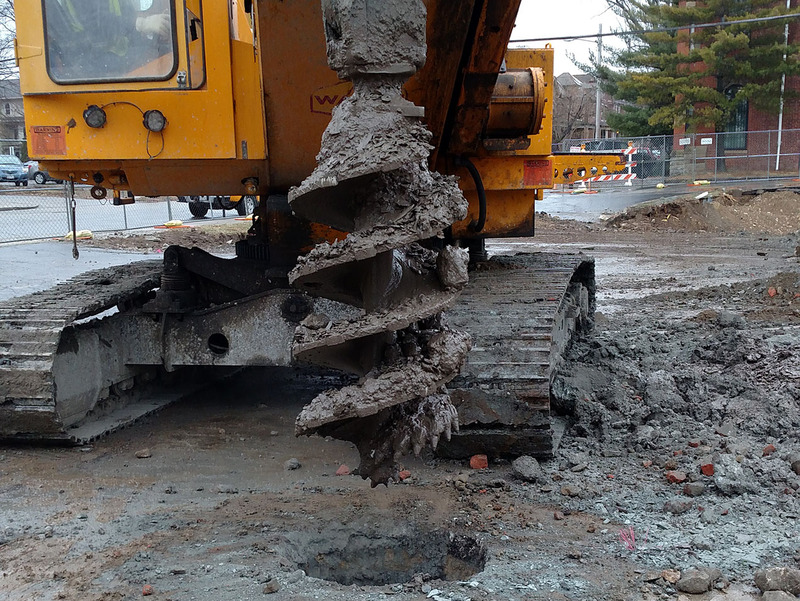 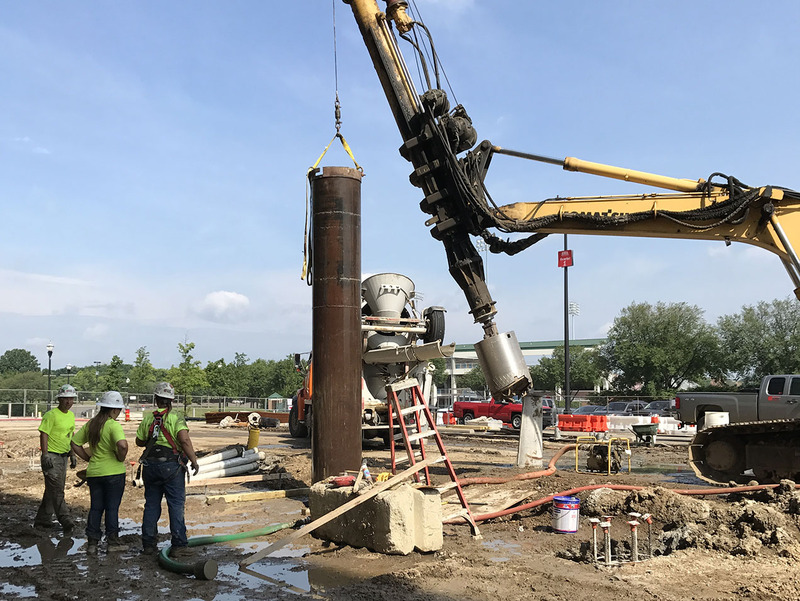 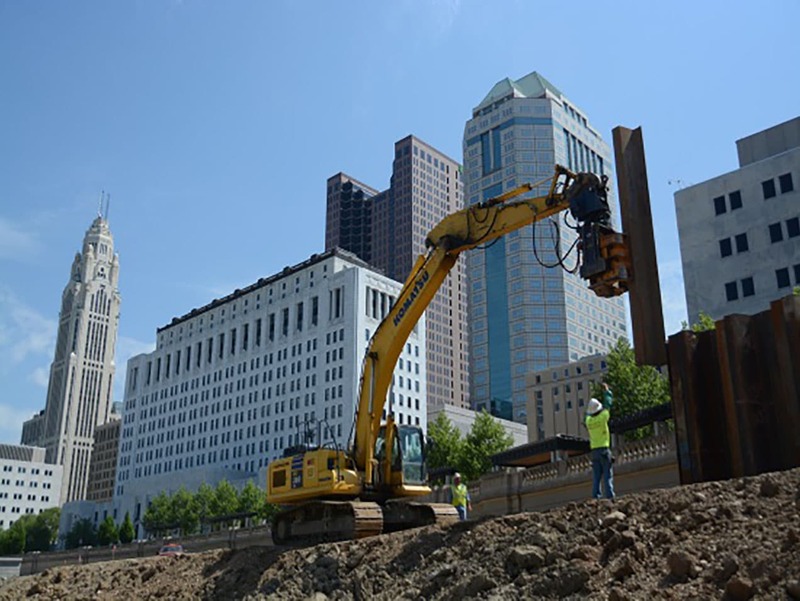 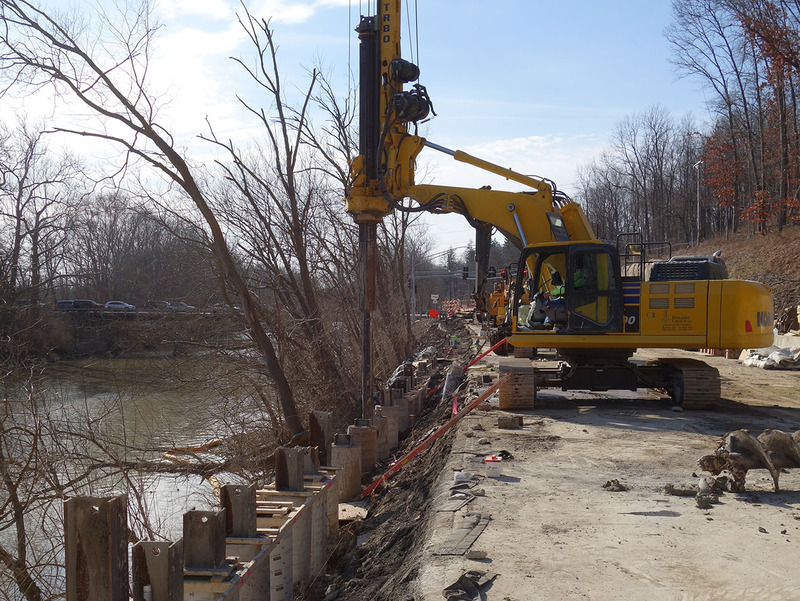 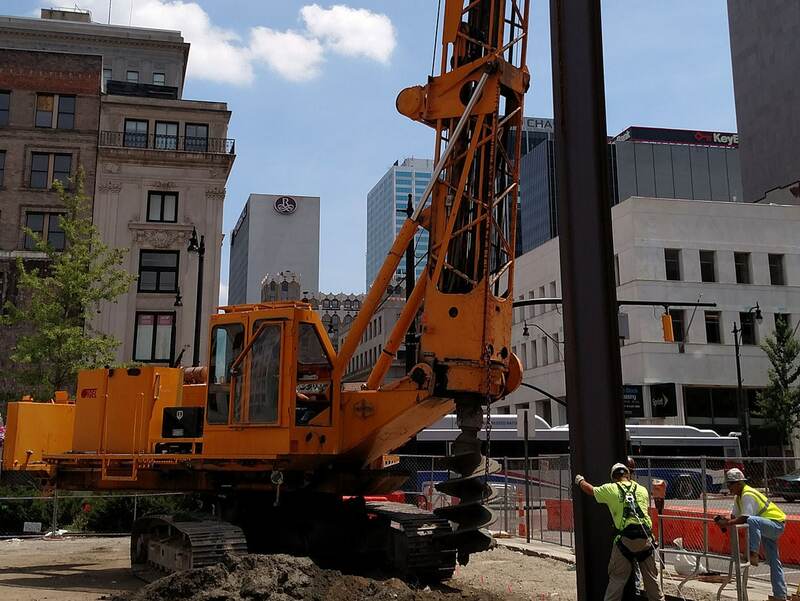 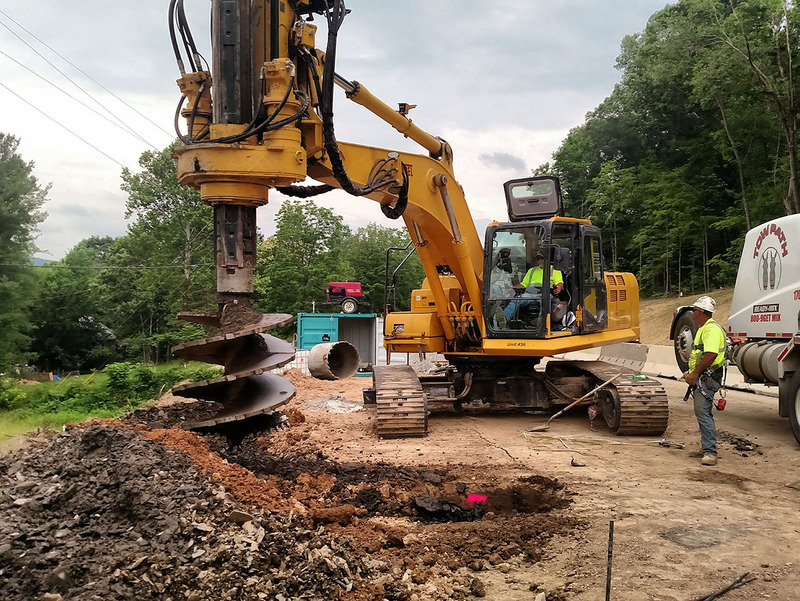 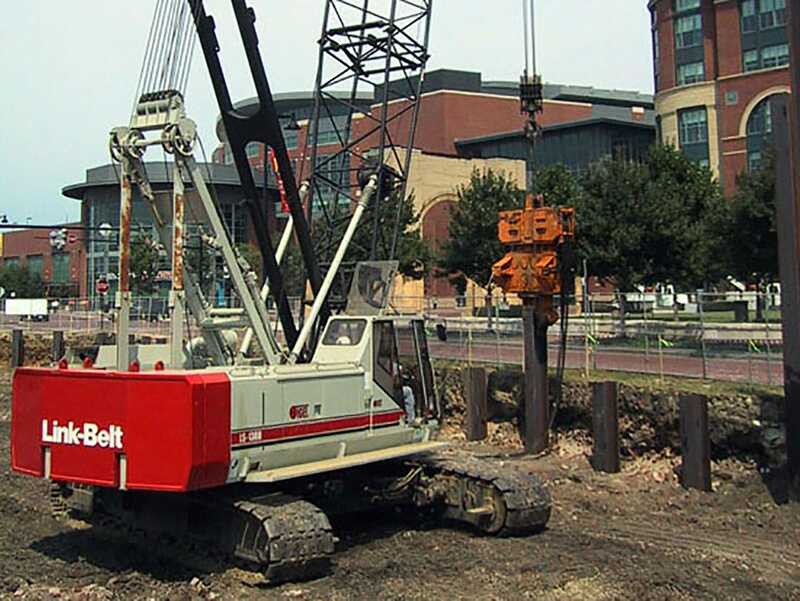 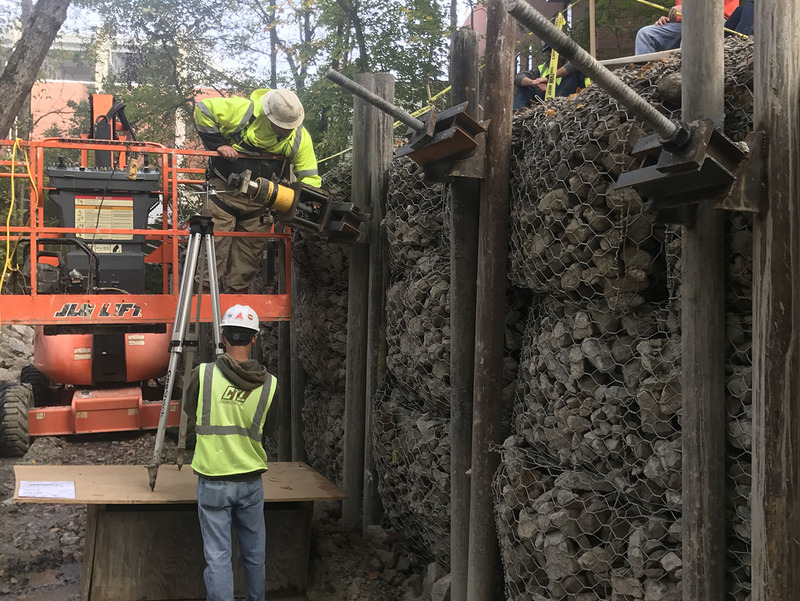 When driving or vibrating piling and sheeting is prohibited, we can drill deep holes with our drill and complete the work with a minimum of vibration. 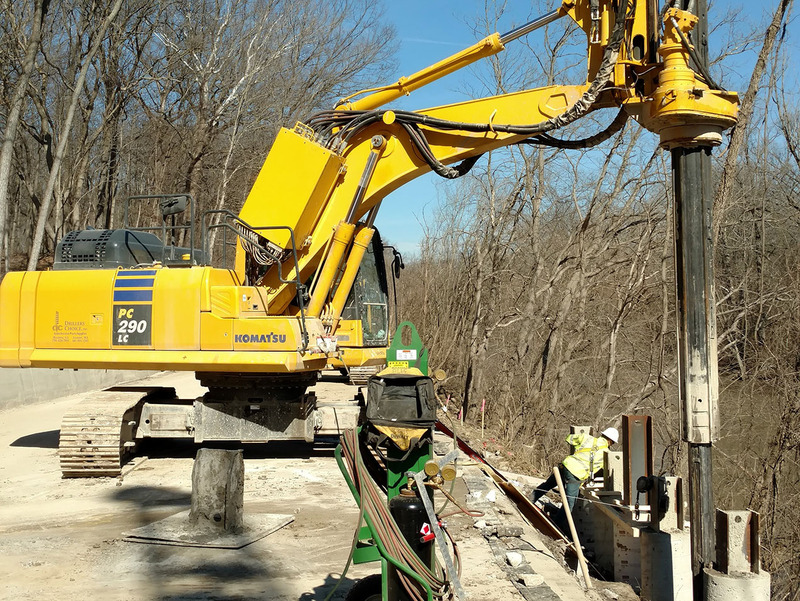 Our drilling equipment can drill 60" holes over 50' deep in most soils.